No one is perfect. All of us screw up from time to time. On the golf course, some scratch golfers will bend the rules. If they make a bad shot, they’ll take a second one and continue as if the mistake never happened. Golfers call that a mulligan. Mistakes are a part of life – “stuff” happens. Unfortunately, some mistakes, such as collecting Social Security too early, can cost you a lot of money. But I have good news for those of you who’ve tapped your Social Security benefits prematurely: You can fix it. Here’s how to get a second chance at maximizing your payout. For many Americans, Social Security benefits are their biggest asset. In fact, for 20% of married couples and 40% of single beneficiaries over the age of 65, Social Security makes up 90% of their income. But here’s an even scarier statistic. Nearly half of Americans begin collecting Social Security retirement benefits at the earliest age possible – 62. That’s a full four to five years before they reach full retirement age (FRA). Remember, FRA is not to be confused with your “ideal” retirement age. FRA is the age at which you can begin receiving your full, unreduced Social Security benefits. Your FRA is based on the year you were born, so it can vary from person to person. For example, if you were born between 1943 and 1954, your FRA is 66. You can find your specific FRA at ssa.gov. Taking Social Security before reaching FRA is usually a bad idea. Doing so reduces your primary benefits by roughly 25%. In the end, it can cost you a lot more. Waiting to receive your retirement benefits pays off – a lot. When you reach your FRA, you’ll receive 100% of your benefits. But if you wait a year longer, you’ll receive 108%. And if you wait until you’re 70, you’ll get a whopping 132% of the monthly benefit because you waited 48 months. When it comes to Social Security, patience pays off. Below are three things you can do to get all or some of your maximum Social Security benefits back if you filed too early. If you’ve been receiving benefits for less than a year, I have good news for you. You can withdraw your claim for benefits and it’ll be as if it never happened. Simply contact the Social Security Administration (SSA) orally or in writing and let them know you’d like to withdraw your claim for benefits. Then wait until you reach your FRA to claim your full benefits. Or better yet, wait until you’re 70 to claim maximum benefits. You’re going to be stuck with a bill. And depending on how long you’ve been cashing Social Security checks, it could be a big one. When you withdraw your claim, you have to pay everything back. This includes any payments such as child or spousal support made on your behalf. 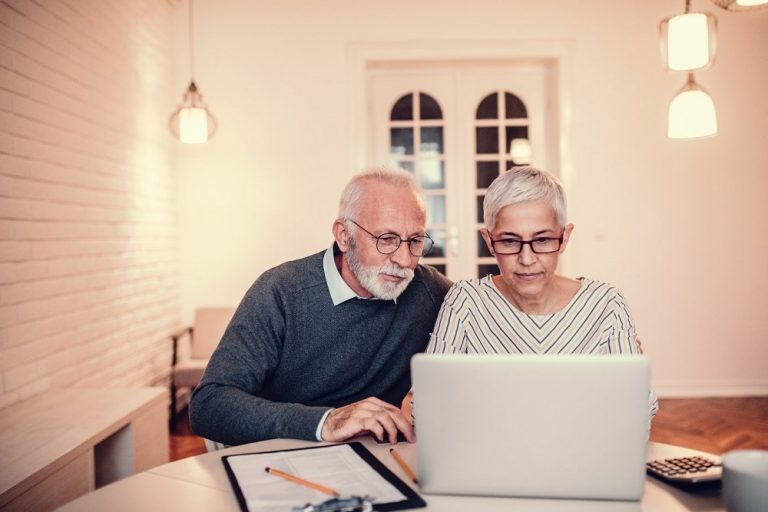 If you’ve reached your FRA and you’ve been collecting benefits, but you aren’t 70 yet, you can ask the SSA to suspend your benefits. Then you’ll receive an 8% delayed retirement credit for every year your benefits are suspended. You’ll continue to accumulate 8% a year until you reach 70 years old. Additionally, you’ll receive any cost-of-living adjustments (COLA) during those years. Your benefits will automatically restart on your 70th birthday… And you’ll be cashing a (hopefully) much larger check. Here are a few things to keep in mind before you suspend your benefits though. Anyone else receiving benefits based on your work record (like a spouse or a child) will not be able to collect while your benefits are suspended. Divorced spousal benefits are the exception. Any benefits you receive on someone else’s work record (such as a spouse’s) will also be suspended. You’ll be billed directly for your Medicare Part B premiums and you’ll be ineligible for Supplemental Security Income (SSI). Finally, if you aren’t at your FRA, you can always go back to work. Working is the unofficial way to suspend your Social Security benefits. The SSA will deduct $1 from your benefits for each $2 you earn above $17,040. If some or all of your retirement benefits are withheld because of your earnings, your monthly benefit will increase (starting when you reach FRA) to take into account the months that those benefits were reduced. Another bonus: If your latest year of earnings turns out to be one of your highest, Social Security will automatically refigure your benefit and pay you the increased amount. This increase will be retroactive to January of the year you earned it. So if you realize that you’ve made a mistake by claiming your Social Security benefits too early, relax. It may not be too late to increase your future payout.